Does anybody else out there do pre school ballet lesson plans? I like to have a library of these so that I have lots of themes to work on with the little ones. It is always wonderful to share what we do and learn from others in the process. I love teaching children, and I especially enjoy the younger ones. On this page, I would like to share what I do in my pre school dance classes and would greatly appreciate comments and input on what other teachers do in their pre-school ballet classes and how everyone else does with their pre school ballet lesson plans. I teach modern dancing as well, but I find it a waste of time in my studio to run both ballet and modern pre school dance classes, as the basic dance elements are mostly the same in both disciplines. I, therefore, combine the two, focusing mainly on the ballet, and now and then put in a jazz hand or isolation to bring in some of the modern elements. Steps like marches, skips, running, jumping, pointing are done in both disciplines, it is only perhaps the music that can vary. 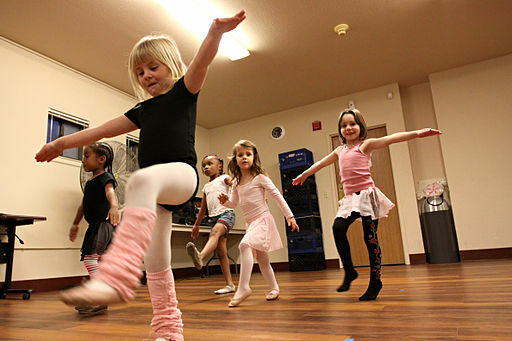 In our pre school ballet lesson plans, we try to have a story or theme going throughout the lesson. After a theme related warm up, we normally travel to our chosen ‘destination.’ After this, we do various activities that relate to our destination. At the end of the class, we need to travel home to end off our little adventure. As a dance teacher this approach takes a lot of preparation and imagination, but once you have your story class sorted you can reuse for years to come. My children always come into class and ask me “so teacher, where are we going to go today?” The best thing about this approach is that it is far easier to keep the children’s attention going for longer as they want to hear the rest of the story. Even once they know the story, I enjoy surprising them by swapping some of the outcomes around to spice things up a bit for them. I will keep adding to my list of Pre School Ballet Lesson Plans, so keep your eyes open. Will definitely look into that. Thank You.